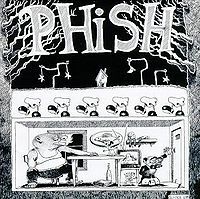 'A' Train contained a brief Sailor's Hornpipe tease from Trey, Possum included a Rhapsody in Blue tease from Page, and Caravan contained an Entrance of the Gladiators tease from Trey. Ya Mar contained "Napkin Pa" lyrics. OK, so musically, this sounds like a pretty decent show. Ya Mar is funny, with lyrics centered around the phrase "Napkin Pa," and I always like hearing the original "Brothel Wife" lyrics to Cavern (although "Penile Erector" makes me giggle). There's a trippy intro to Caravan, and fairly smokin' versions of La Grange and JJLC. Oh, and an old style Rift taboot. Now, the other side of the coin is that the quality of the available recording is pretty terrible, especially early on in the first set, although it improves to tolerable by the end of the show. I usually make an effort to keep sound quality out of the equation when I'm rating a show, although it has a tendency to influence my ratings subconsciously. But is it totally unfair to take the that into account? In a sense, the purpose of ratings is to offer some (albeit subjective) guidance to people looking for shows to download. It's one thing for later shows that have a variety of sources, especially 2.0 and 3.0 shows which are all available for purchase in SBD quality. But what about these older shows where you may only have one existing recording to choose from, and it's crappy? I don't know, I keep going back and forth on it. In this particular case I had originally thought about marking this down to two stars based on sound quality, but I think it improves enough and there is enough good, listenable music to merit 3 stars anyway. So I'm punting on that question for now. But if anyone has thoughts about whether it's fair to take recording quality into account when rating a show, I'd love to hear 'em. Only listen if you enjoy good music being played through oscillating fans. Seriously, though, I'll give this show 2.5 stars. There's just so much other good stuff to hear from 1990 that it seems like a waste to listen to average versions of songs on a tape that has seriously degraded in quality over the years. Note: La Grange is still worth listening to, as usual! This is a pretty standard April 1990 Colorado run show with a few highlights. 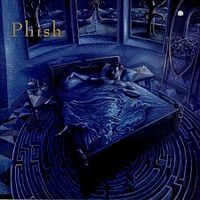 Historical sidenote: The last show Phish played on 4/20 was in 1994; a bit odd given the reference. Despite that, if you are looking for a good, representative show for the April 90 CO run, I'd suggest 4/22/90 because, as @TheEmu mentioned in his review, the audio is less than ideal (especially the first third of the show) and takes away quite a bit from the listening experience. The Ya Mar is interesting to listen to with the added "napkin pa" lyrics and you can tell that the band is having fun, but the early part of the show is marred by bad audio. Its always a childish treat to hear the old, vulgar lyrics of Cavern. Given its rarity today (2013), the Forbins > Mockingbird is a good listen and has a little narration in between. The whole second set flows nicely but is played pretty standard for April 1990. For the time period, the Weekapaug Groove is rocking and you can start hearing its development to what it would eventually become in 1994/1995. Given that the "slow" version of Rift was only played a half-dozen times, this Rift is an interesting listen. To my ears, the slow version is jarring and doesn't quite work. A nice YEM closes the set (the second time ever that YEM closed a 2nd set, 3/17/90 being the first) and closes the show. In a nutshell, its an average show for this time but, for my money, I'd go for 4/22/90 to get an idea of this early 1990 CO run.